Discussions Magazine Music Blog: DAN BLACK/Un: Available NOW! U.S. pressing includes three bonus tracks! Debut release from the Paris-based Englishman. Un melds the musical attributes of Paul's Boutique, Hatful Of Hollow and Supa Dupa Fly with a lost 80's sci-fi soundtrack and is nothing short of brilliant. 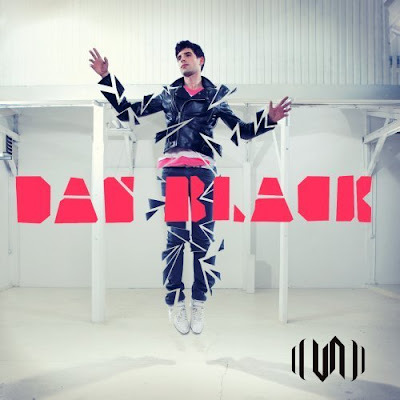 Tantalizing and stimulating eardrums, Dan Black has been hailed as Pop's bright new hope by everyone from Zane Lowe to Perez Hilton and was a regular feature in the 2009 One To Watch polls. Now Black has updated and fleshed out his blogospherically massive Notorious BIG tribute 'Hypntz' into the fully fledged Space Pop anthem 'Symphonies'. Fusing the ubiquitous beat from Rihanna's 'Umbrella' with heavily chopped-up samples from the film soundtrack of John Carpenter's Starman, this is a perfect, effortlessly joyous marriage of laptop hip hop with tip top Hip Pop.